These are our confirmed dates for tournaments. We have a few other weekends that we will be adding but did not want to delay getting these dates out. We have also added some events of interest that we do not host, but are directly involved in. We will be linking registration information as soon as it is available. All tournaments are Doubles unless otherwise indicated. We have format and tournament information below the schedule. There are a few unique new formats that we hope will get teams excited about our series. We hope to see you this summer! Food & Drinks can be purchased at our new restaurant: "The Dig". Players will have the opportunity to pre-order lunch and have it ready during their break. Parents will appreciate several features of our new restaurant. This schedule is being finalized. Click on Event Name for additional information and to register. NON-NWJRS CLUB MEMBERS (Indoor): USAV Membership (Required for USAV Tournaments) USAV Additional Registration Paperwork. *Requires player and parent signatures. Medical Release Form 2018/2019 & Concussion/Cardiac Info with Signature page Sign last page. Speed up the check in process by e-mailing to billing@volleyballnw.com or fax to (425) 671-5020 at least 2 days prior to the event. If you don't have access to a scanner or fax machine then take a picture with your phone and e-mail it. There are a lot of changes happening on the beach this summer and we will be directly involved in hosting events on multiple platforms. Our final schedule reflects a mix of AVP America, USA Beach, and Inter-Club Beach Events. We want to make it clear that while many of the events carry a "qualifier" nature to them, they are all open to anyone at any skill level. There is usually room for at least 12 teams at any age group (and up to 36 in some) so that brings a wide range of skill levels and goals. If you are just getting started on the beach, don't let the "qualifier" nature keep you from entering. Every tournament is it's own opportunity for you (and your partner) to improve on the beach. Play in as many as your schedule allows! Yes, you enter as an individual. Not with your partner. We are trying to determine the one (1) Queen of the Beach, not a Team of the Beach :) that's what the doubles tournaments are for! In this format you are paired with other individuals in a pool and play with & against each of the players in your pool. At the end of the pool the top two individuals move up, the bottom two move down. Then we play a new pool. It's a great, FUN format that gives the players a lot of play (9 total games each for EVERYONE in our July tournament). 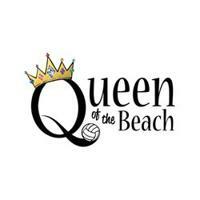 The top player is named Queen of the Beach because somewhere along they way they might have to: Play right or left side; make a weak player stronger; figure out how to beat a better player on the other side of the net with their partner that they have never played with; Adjust, think, problem-solve, win. This year we are lucky enough to be able to use both Willis Tucker Park AND Bottega to run tournaments. That means extra courts and extra playing opportunities for juniors and adults as we run our series. Bottega Beach Volleyball Park 5 minutes North of Woodinville on Hwy 9. Willis Tucker Park close to Glacier Peak HS. Tournaments may be held at two locations, with location rotating between age groups. We are very excited to have this flexibility and the opportunity to better the beach experience for everyone in the community! Tournament Cancellation and Changes Policy: A full refund less $10 admin fee will be refunded without question if the request is made 7 days prior to the event; after that no refund will be issued. Requests for refunds for medical reasons must be accompanied by a signed excuse from your physician. No exceptions. A $10 change fee will be required to change from one event to another. Change requests must be made 7 days prior to the event. If a player is asked to leave due to disciplinary reasons, fees are not refundable. Rarely do we cancel tournaments, but in the event we do cancel due to weather a full refund will be issued. Our Platinum AVP Academy athletes will have the opportunity to qualify and get direct bids to several events including the AVP First Gold Event associated with the AVP Seattle Open June 21-23. We will be hosting AVP America events all summer. These are all stand-alone tournaments open to anyone. Below is an excerpt from the tournament handbook. Age groups are the same as indoors. If you DID NOT play club with NWJRS Elite VBC in 2019 then you will need to complete the following registration items. The following documents are required at check-in. We will keep them on file throughout the summer, so you only need to turn them in once for NW Volleyball events. PROOF OF USAV MEMBERSHIP (Individual Membership Card): How do you get it? All participants in Northwest Volleyball outdoor events must be USAV Members. Please be sure to bring proof of USAV membership for check-in the day of the event. If you are not already a member (junior indoors) here is information on how to get your Outdoor USAV Membership HERE. If you are a member: Go to the USAV Membership Login Page and enter your personal Username and Password. Once you are on your personal page, look to the left column, and click "Print Membership Card" and print that page. That is your USAV Card. Print out an extra copy for yourself and keep it with you... just in case. NWJRs Elite VBC Members: Medical Release and Concussion/Cardiac Paperwork is on file. Non-NWJRs Club Members: Additional Registration Paperwork. *Requires player and parent signatures. Speed up the check in process: e-mail to billing@volleyballnw.com or fax to (425) 671-5020 at least 2 days prior to the event.